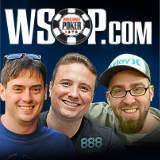 Three of the 2014 WSOP November Nine players will be representing 888poker when they return for the final table on November 10th, 2014. 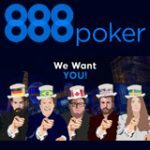 Bruno Politano was added as an 888 Poker Ambassador earlier this year, two new faces have since been added including back to back final table player Mark Newhouse and amateur player William Pappaconstantinou. That's exactly a third of the final table players representing the popular online poker site and also a greater chance of bring home the bracelet for Team 888 Poker. 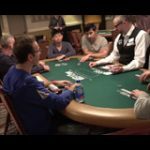 Poker fans are gearing up for an action-packed final table at the 2014 World Series of Poker Main Event which has been on a break since July. 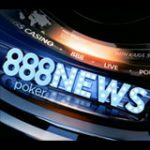 Earlier this month 888poker announced that two more November Niners have been added to Team 888poker, after Bruno Politano Foster became an 888 Poker Ambassador. The two new additions to the team include: Mark Newhouse and William Pappaconstantinou. The team of three players will be wearing 888poker patches on the final table and representing the brand in the most prestigious live poker tournament in history which is offering a guaranteed $10 million first place prize in 2014. 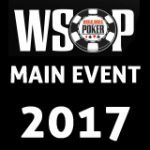 The 2014 WSOP November Nine consists of the following players: Jorryt van Hoof, Felix Stephensen, Mark Newhouse, Dan Sindelar, William Pappaconstantinou, Martin Jacobson, Bruno Politano, William Tonking and Andoni Larrabe. To celebrate the new additions to Team 888poker players can register for the $3,000 WSOP Freeroll tournament on November 10th. The freeroll is open to all players that have made their first deposit at 888poker. 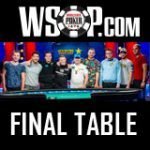 Brazilian player Bruno Politano makes his first WSOP Main Event final table appearance and also the first player from Brazil to achieve this. Politano has a large fan base which will cheer him on as he returns to the final table as the short stack. He will be looking to double-up early which could end up as the first eliminated player or increasing his position to win the title. Mark Newhouse is a great addition to Team 888poker, Newhouse was a 2013 November Nine player which is an extremely rare accomplishment for any player. Mark Newhouse returns this year with the third largest chip stack, more experience and hopes to improve on his ninth place position in the 2013 WSOP Main Event. William Pappaconstantinou is the amateur on the Team but is no stranger to competitive sports having claimed several titles as a foosball champion. Pappaconstantinou returns with just under the average stack count and will still no doubt be a force to be reckoned with. Good Luck to Team 888poker at the 2014 World Series of Poker Main Event Final Table.